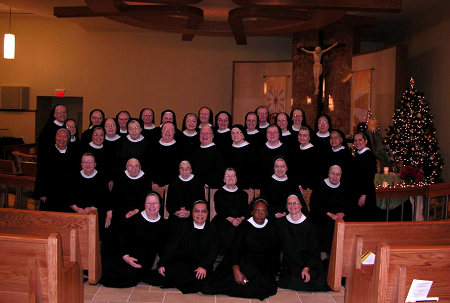 Picture following the re-election of Sr. Pia Portmann as Prioress for another 3 years! Congratulations Sr. Pia! Not Pictured: Srs. Fidelis Marie and Madeleine, Postulant Sarah was the photographer.